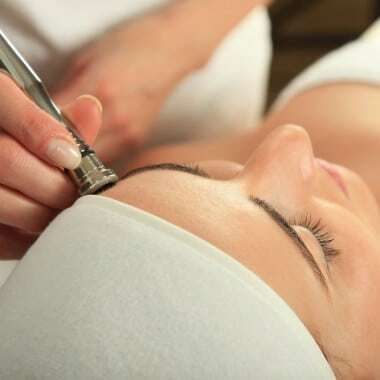 Offered by our Registered Nurse, microdermabrasion is the perfect treatment for patients who want a fresher, clearer, more evenly toned complexion with fewer breakouts and smaller pores. It’s like taking your skin to the gym to get it in good shape. It may be combined with your Laser/BBL program to speed up the appearance of fresh, clear skin. First, we use a diamond tipped suction wand that buffs and polishes dull or sun damaged cells to reveal the younger looking, fresher skin below. Thereafter a manual extraction is included if required, and an enzyme hydropeel is an added bonus to deeply cleanse pores which releases the congestion that can lead to acne. We finish off with a nourishing antioxidant vitamin infusion to plump and feed the skin. The treatment takes 45 minutes and costs $155. It’s also a great clean up treatment our Registered Nurse Kathleen recommends doing 1-2 weeks after a BBL photo rejuvenation treatment. This instantly aids in the removal of brown spots treated by the BBL, and improves hydration. To book an initial skin consultation with Kathleen please click here. While this treatment is useful to those with acne prone skin, for active acne we recommend our medical grade BBL laser treatment, which effectively targets bacteria building up in the skin, reduces pimples and prevents scarring.